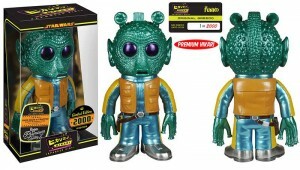 Entertainment Earth is now taking preorders for the Hikari Sofubi Greedo vinyl figure from Funko. Limited to 2000 pieces. Thanks to Star Wars Action News via twitter for the heads-up. UPDATE: StarWars.com has posted an update announcing several other characters coming to the Hikari line in 2015. Keep checking those Target aisles and Saga Legends/Mission Series set continue to make their way to shelves as shared above by @MattGuzy on twitter. 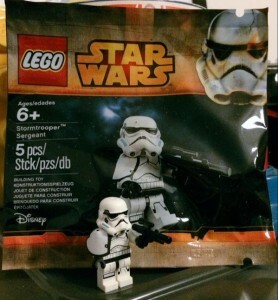 A mysterious LEGO Star Wars polybag has turned up online thanks to a tweet from @JediMasterOutred. 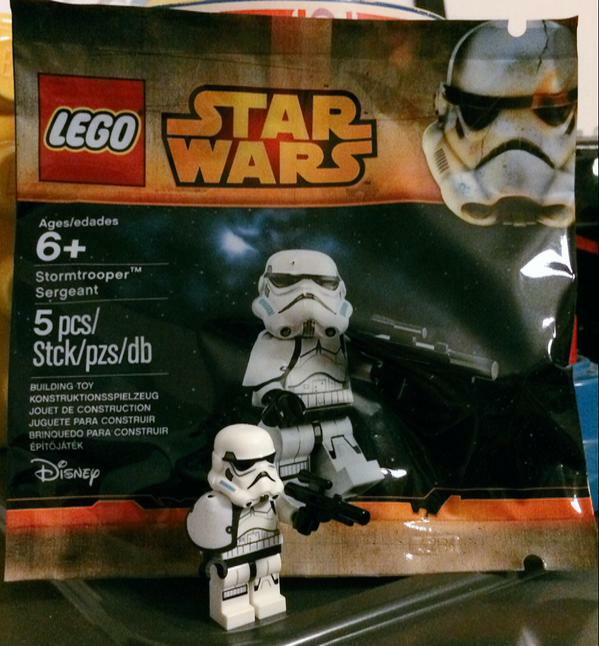 It features a Rebels style Stormtrooper Sergeant. Look for more details on the release of this figure soon. UPDATE: New The Force Awakens Details Tomorrow? Good Morning America offered up a tweet this evening teasing exclusive details for Star Wars: The Force Awakens tomorrow. Check local listings for air times. Good Morning America is aired on ABC, a division of The Walt Disney Company. UPDATE: GMA confirms the rumor that the voiceover in the teaser was indeed given by Andy Serkis and they also state the source of that other lightsaber (not the cross blade one) you hear in the trailer. Head over to ClubJade for the details, spoiler warnings apply. The Ultimate Star Wars Die Cast Set that has shown up on DisneyStore.com recently is also being found in brick and mortar Disney Stores per this tweet from Tucson ToyHunter. This set includes the Millennium Falcon, Y-wing, Darth Vader’s TIE Advanced, 2 standard TIE Fighters, an Imperial Star Destroyer, Luke’s “Red Five” X-wing and an Exclusive Wedge Antilles “Red Two” X-wing. ToysRUs has listed on their site, most of the new Star Wars Rebels and Saga Legends figures with FREE SHIPPING on orders of $49 or more. Thanks to Justin LaSalata on twitter for the heads up. Paul Davis (@pauldavodavis on Twitter) from the UK! Jesse from JediDefender was able to find several sets of the Special Value Offer vehicle packs at his local Kmart including the more rare Jedi Speeder set. Here is a link to another image of his haul.